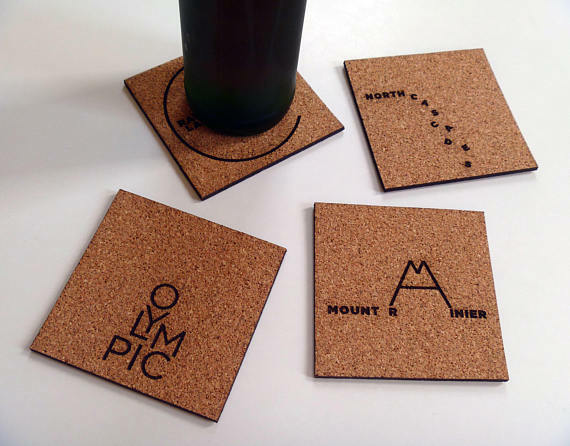 Dan Narva, owner of Etsy shop Nine Day Weekend, “enjoys showing people a new way of looking at familiar images.” From how he can design a coaster to how he can illustrate custom laser engraved wall art, Dan’s artistic interpretation puts a fresh take on classic products. If you’ve ever been to any of the 59 U.S. National Parks, you’ve experienced the awe that comes from spectacular scenery and the breathtaking beauty of the wilderness. You probably also dropped some coin at the visitors’ center on professionally photographed postcards. And you most likely took sooo many pics yourself that you filled up your phone’s memory. Or, if you’re old school, used more rolls of film than you’d like to admit! Everything you need to know about prototyping your product ideas. So it’s fair to say that photographing the National Parks has been done. Check! But is there another way to capture the essence of the parks that hasn’t been done before? Over the course of the following months, Dan kept going back to the drawing board, literally, working on the designs. If unfamiliar with a particular park, he’d read up to get a better sense of what features he could illustrate. Sometimes he would work at the computer. Other times he’d sketch ideas on random scraps of paper. And of course ideas would flow in the most inspiring of places: The shower. “I shared drafts with my wife and a close friend, refining every park’s design so that while each puzzle might range from easy to difficult to decipher, they all used the same visual language to create a series that worked well as a complete collection,” he says. 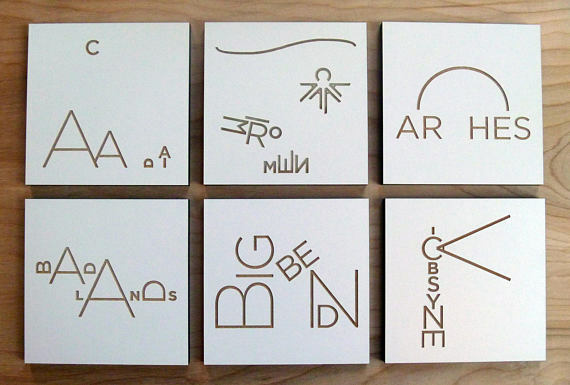 The result is an enlightened series of pictograms, unique illustrations that depict recognizable features of each of the 59 U.S. National Parks, composed entirely of the letters that spell out each park’s name. 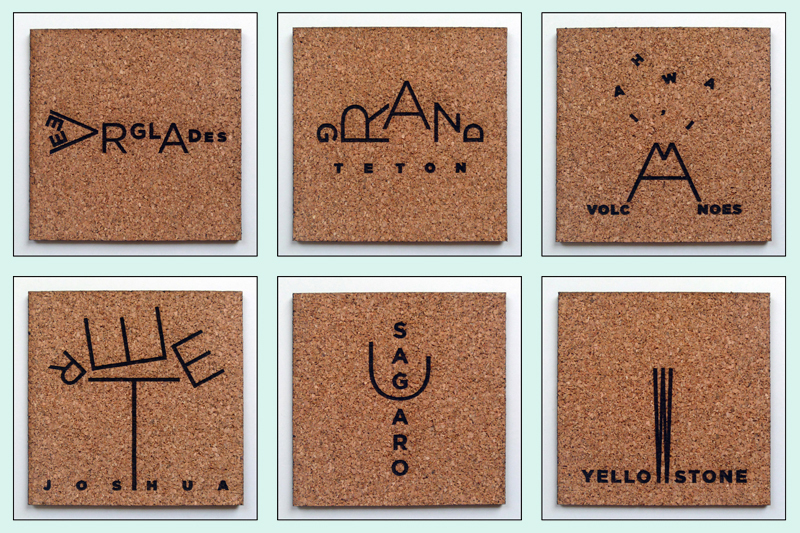 Other designs depict the indigenous wildlife that make their homes in the parks, such as these coasters made out of cork. In addition to coasters, Dan has expanded the National Parks line to include a collection of magnets. 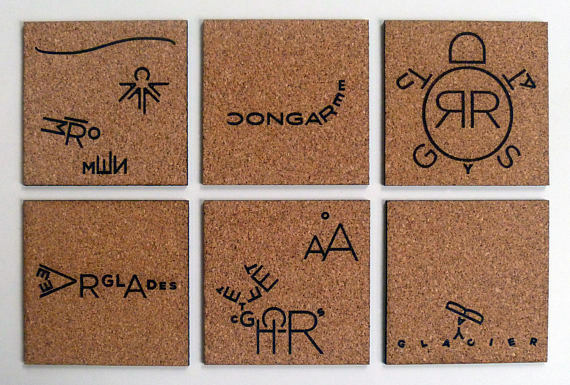 These smaller versions of each of the 59 designs are laser cut in birch plywood, which has a nice warm tone when engraved. He chose birch because of its reasonable price point, the attractive wood grain and the ability to fit 32 magnets onto a single P3 sheet. What’s great about this kind of line extension is that you can offer complementary products without having to develop completely new designs. Between the magnets and the two types of materials for coasters, customers have the option to mix and match products so they can collect all of their favorite parks. Fun! One way we humans remember special moments and relive past triumphs is through photographs. In the past, you could walk into any home and see family pictures proudly displayed. But in today’s digital world, unfortunately, most pics live only on our phones and are rarely printed out and framed. Once again, Dan saw a challenge—and opportunity—in finding a new way to look at the familiar. “Instead of just framing photos, why not turn them into a piece of art?” Dan asked himself. Creating this kind of portrait solidifies favorite memories in a way that’s different from a simple printed photo. While these mementos are perfect for milestones—buying your first car, graduating college, getting married, having a baby, running a marathon, summiting a mountain—but they’re just as suited for a fave selfie with your bestie. 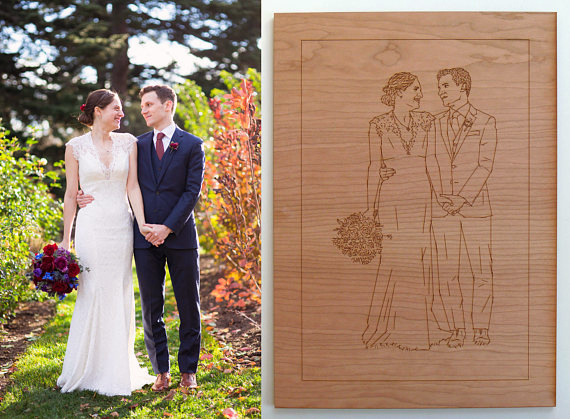 To get a sense of what his artistic representations of customers’ photographs look like laser cut into wood, check out this reproduction of a couple’s wedding photo. He even captured the sweet gaze between them. Love is in the air! Next, check out how architectural details really come through beautifully in this portrait done for a new home buyer. Can you imagine getting something like this from your real estate agent as a housewarming gift? 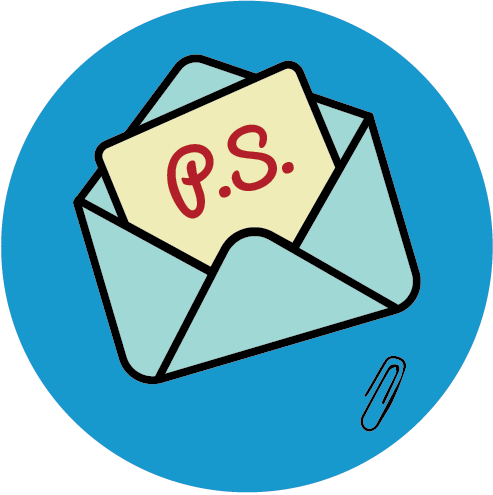 Hello referrals! 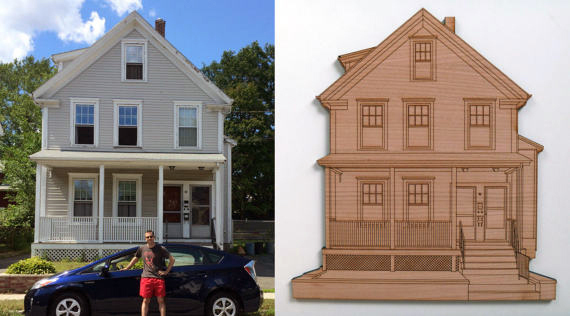 While it may look like Dan has tons of experience with laser cutting, that wasn’t the case when he got started in the fall of 2016. In fact, after Dan created the first digital designs of what would eventually turn into his line of custom portraits, he wasn’t entirely sure how to present the final product. 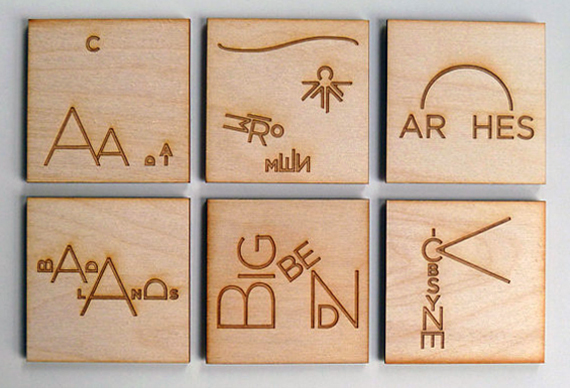 Dan had never used a laser cutter before and was eager to see how his art would look burned into wood. 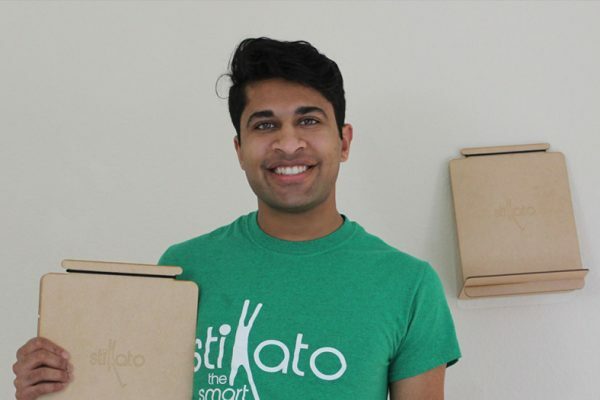 While he could have joined a maker space or local studio, he says the downside of being responsible for buying his own materials just wasn’t an attractive option. It’s also interesting to note that Dan’s creative strategy allows him to stay true to his vision while also keeping Ponoko’s processes in mind. “The more I’ve worked with Ponoko, the easier it is for me to know how to adjust or nudge my project in whatever direction is best suited for laser cutting, whether this means keeping costs low, deciding between line and area engraving or just having a feel for what sort of image will look good laser cut into wood,” he says. All makers have to find that sweet spot where their creative interests intersect with a need in the marketplace, especially for those selling the products they make. For Dan, he was able to recognize the American public’s growing interest and attendance in the National Parks since their centennial year was celebrated in 2016. He was able to tap into this trend by creating a product line to honor the increased interest in the parks while depicting them in an original way. And there will always be a market for custom illustration as consumers continue to look for original gift ideas that can’t be purchased at the local retailer. 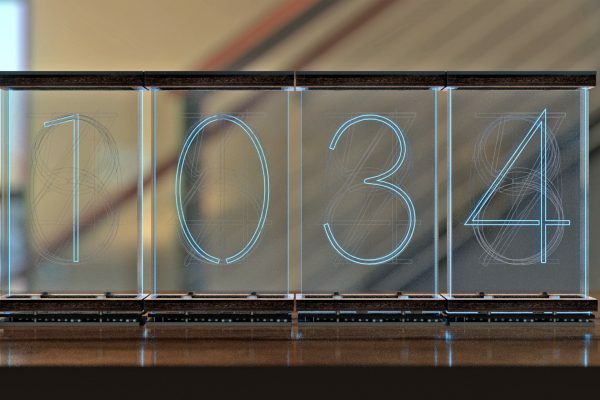 If you’re currently selling your custom laser cut products or are considering it, challenge yourself to see how you can look at the familiar in a different way. This is true no matter what products your make and sell whether you want to make your own coasters, design jewelry, sell electronics enclosures or anything in between. What trends are happening right now where you live? How does your creativity and artistic interpretation lend itself to fulfilling a need? This process worked for Dan. It can work for you, too. To learn more about Dan and keep up with what he is making at Nine Day Weekend, check out his Instagram and Etsy shop.